"It’s not often you find a triple-generation quilt! 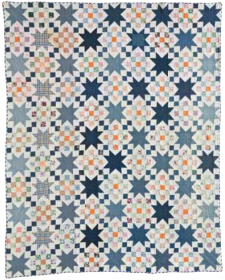 First, Variable Star blocks were pieced about 1900 from indigo prints and muslin. 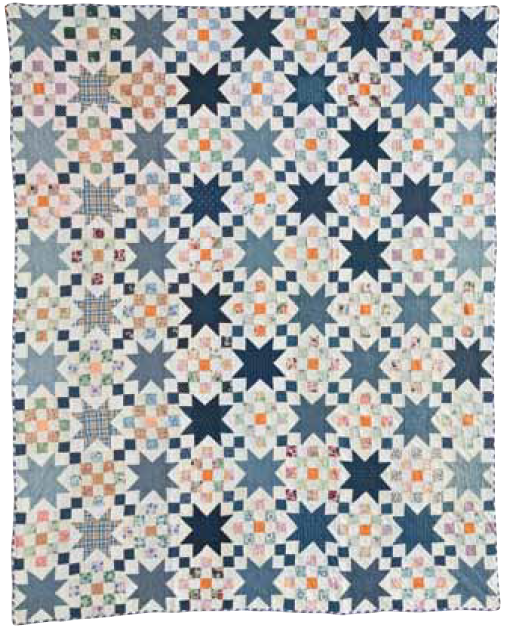 Sometime during the Great Depression, the forgotten blocks were unearthed and combined with 25-Patch blocks pieced from a decades-old stash. 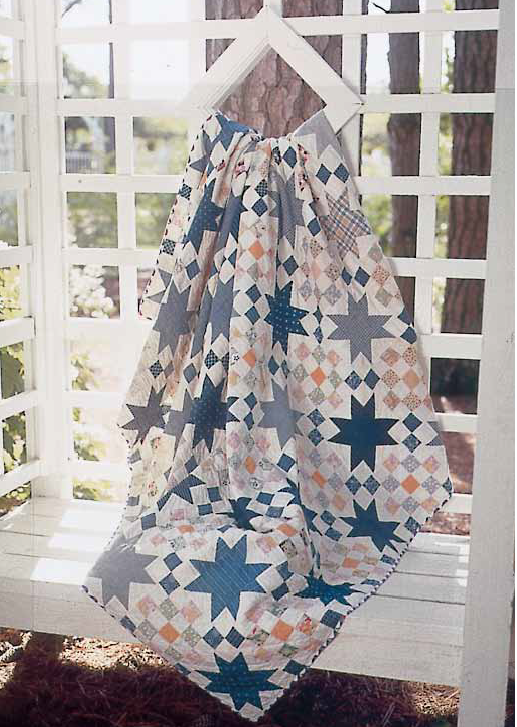 The quilt top was probably finished in the 1940s, when it was bound with a WWII sailor print. 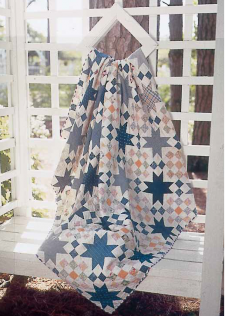 Download this FREE Checkered Star lap quilt pattern today."